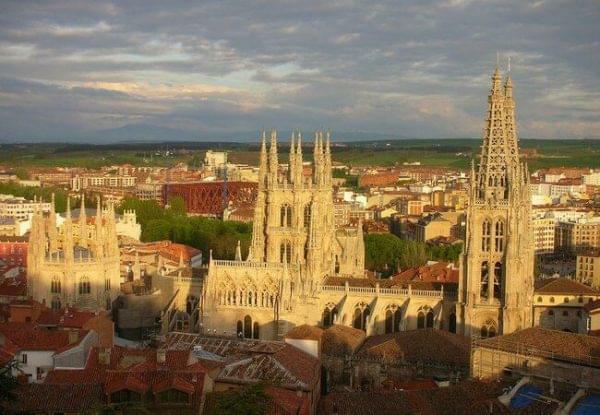 The Camino de Santiago from Burgos to Sahagún is part of the French Way: This section of the French Way begins in the spectacular city of Burgos, birthplace of “El Cid”. Burgos is considered to be the Gothic capital of Spain. Section 4 of the French Way finishes in the city of Sahagún, located right in the heart of the plateau. From here we can appreciate the area’s majestic open landscapes. Throughout this section we will get the chance to truly enjoy nature in all of its splendor, with its vast farming lands, small villages and quaint picturesque towns with their fantastic Romanesque churches. Have an unforgettable time on the Camino de Santiago from Burgos! In Burgos we can visit the city’s historical center, enjoy going for a relaxing walk along the river or try some of the local tapas in the old town. Burgos is known in Spain as the country’s Gothic capital. We definitely recommend visiting the Burgos Cathedral. Once we leave the city of Burgos, we will start out walking along the plateau (La Meseta) where we will follow dirt paths surrounded by the region’s immense farming lands. On our way to Hornillos del Camino we will cross forests of holm, oak and conifer trees, although there is generally little shade along this route of the Camino de Santiago. We recommend protecting yourself from the sun (hat and sunscreen). Hornillos del Camino is a small classic village with medieval roots. A long hike on the vast plateau awaits us, where we will be able to fully take in the beautiful natural setting and farmlands in all their glory. Once we leave Hornillos del Camino, we will make our way uphill to a plateau before beginning our descent to the Bol River valley, where the beautiful town of Castrojeriz is located. In Castrojeriz we have to walk up the hill to visit the castle that dates back to the 9th century. Castrojeriz is famous for its garlic festival that takes place every year in July. Today will be our last day in the region of Burgos and we will reach the highest point of the plateau, the Alto Mosterales. Once we cross the Pisuerga River, we will enter the province of Palencia and the vast plains of Tierra de Campos. In Boadilla we have to make a stop to visit the Church of La Asunción from the 14th century, famous for its Gothic architecture and its carved baptismal font. 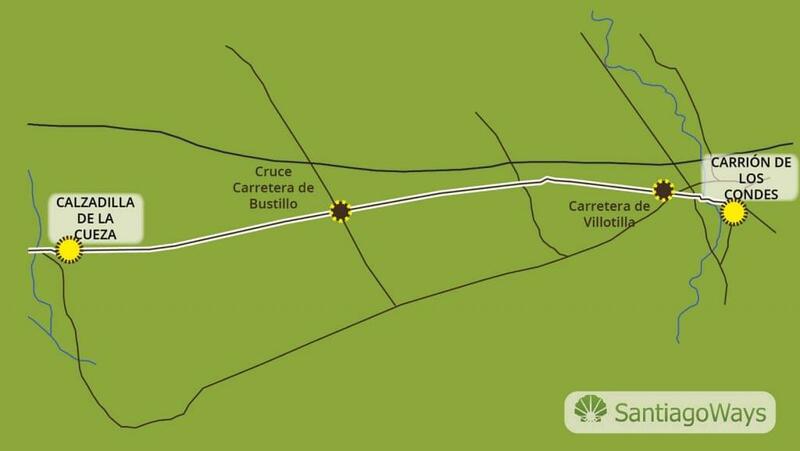 Our route will border a section of the Canal de Castile until we reach Frómista. This impressive canal dates back to the 18th century. Once we have visited the Church of San Martin from the 11th century, we can continue on our Camino de Santiago. Today’s trail will follow parallel to the road, however if we’d like we can take an alternative route in Población de Campos, passing through Villovieco. This route walks alongside the banks of the Ucieza River. Both sections meet up in Villalcázar de Sirga until reaching Carrión de los Condes. In this section we will have the opportunity to walk for 13 km on the ancient Roman road, “Via Aquitania”. This Roman road was used to connect Bordeaux with Astorga and is usually taken by French pilgrims on their Camino de Santiago journey. 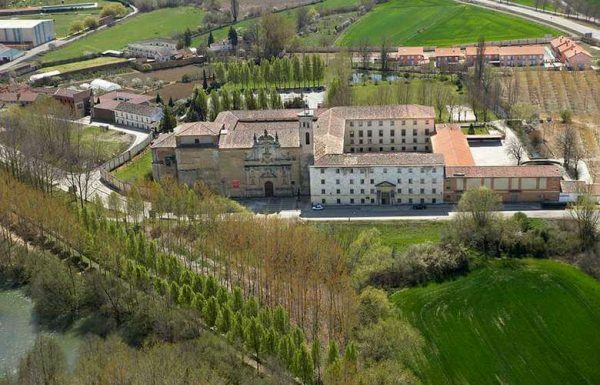 We have to stop in Carrión de los Condes to visit its impressive San Zoilo Monastery. After this visit we will arrive at Calzadilla de la Cueza. During this route we will cross several small valleys, meaning the level of difficulty will be slightly higher than the previous section. Our route along the Camino de Santiago stays away from the road and passes through beautiful oak forests before reaching vast farmlands. We will cross the Valderaduey River in the province of León to ultimately arrive at Sahagún, famous for its Church of San Lorenzo, which we highly recommend visiting. Sahagún is a small medieval town right in the heart of the plateau. In Sahagún we can wander around its beautiful streets, visit its monuments and churches and enjoy great local meals. 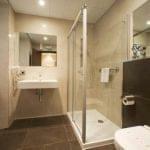 Additional single room: €126 per person. Extra night in Sahagún: €55 per person. 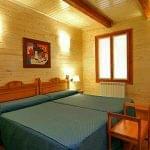 Transfer Sahagún – Burgos: €140. Travel assistance insurance: €24 per person. Cancellation insurance: €16 per person. 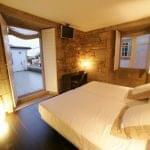 We want to talk about one of the most attractive routes of the Camino Frances to Santiago. We refer to the Camino de Santiago on its stretch between Burgos and Sahagún. We will detail what are the main reasons why it is worth doing and, at the same time, give you all the information related to this route. We want to encourage you to enjoy all the wonders of the Camino Frances in general and this route in particular. Why do the Camino de Santiago Frances from Burgos to Sahagún? 1.- Infrastructure: One of the most powerful reasons to complete the Camino Frances de Santiago in general and, in particular, the stretch between Burgos and Sahagún, is the magnificent, well-organised infrastructure that it has. Indeed, from signalling to the supply and refreshment points, everything is more than covered. This is why it is also a recommended route for those who want to start on the Camino de Santiago. 2.-Heritage: One of the most special features of the Camino Frances from Burgos to Sahagún is its great heritage. Indeed, from the city of its origin, Burgos, to the city of arrival, Sahagún, we will be surrounded by great heritage, mainly from the Middle Ages. This makes this route a very special incentive for lovers of history, architecture and art. 3.-Gastronomy: As we will detail later, in the section of the best restaurants, the Camino de Santiago from Burgos to Sahagún is the perfect route for food lovers. Along the route, we will be able to taste the specialities of the whole area of Burgos and of León. These include products from the land and from the orchards, as well as cooking to put pilgrims back on their feet again. The Camino Frances to Santiago from Burgos to Sahagún has a total length of 120 kilometres spread over 7 stages with its corresponding 6 nights. All of it is done throughout unparalleled natural environments and especially through environments of great architectural and patrimonial beauty. It is one of the routes preferred by pilgrims and begins in the emblematic city of Burgos, the birthplace of El Cid, to finish in the wonderful Villa of Sahagún, of incomparable medieval beauty. It is section 4 of the Camino Frances and crosses part of the northern Sub- plateau, full of charming villages and millennial cultivation areas. We will talk to you next about the most reserved routes within all possible itineraries of the Camino Frances de Santiago. 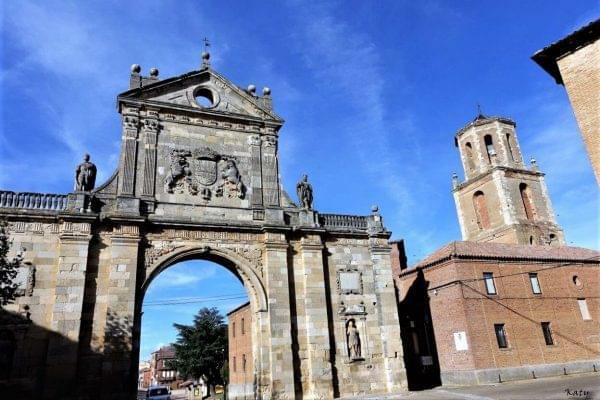 And besides the Camino Frances from Burgos to Sahagún, there are other alternatives that we encourage you to know on the page of Santiago Ways. Each one of them has a special charm. The route of the Camino Frances de Santiago from St. Jean Pied de Port has a total length of 66 kilometres spread over 5 stages with its corresponding 4 nights. It is the most popular route in the French zone: Thousands of our neighbours are encouraged to do it every year to finish their journey in Pamplona. It starts in the picturesque French town of Saint Pied de Port, and the time in which it is busiest is during the month of July, the month in which the festivities of Pamplona take place. The popularity of this section of the Camino Frances de Santiago, which begins in Sarria, lies in the fact that it is the last one before arriving in Santiago de Compostela. That is why there are many people who are encouraged to travel through it to feel the satisfaction of completing their goal. It has a total length of 111 kilometres divided into 7 stages with its corresponding 6 nights. We want to remind you that with Santiago Ways it is possible to book a route throughout the whole year and, at the same time, to reserve the option of only breakfast and dinner. 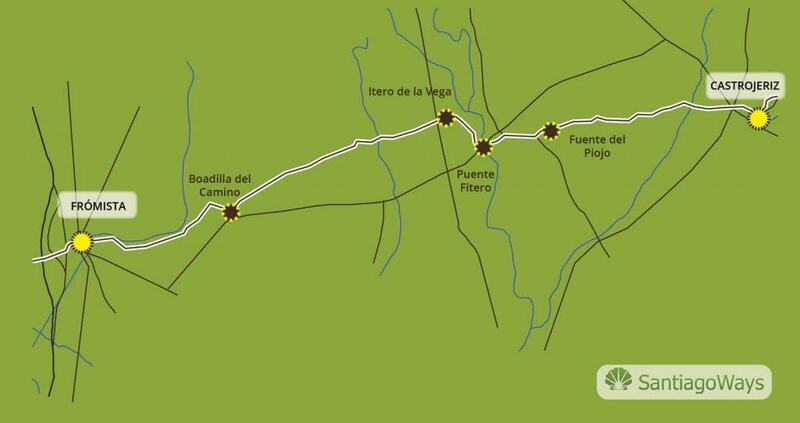 We offer below the maps of the route of the Camino de Santiago from Burgos to Sahagún. With this, we want you to know all the places you will pass through as well as all the adventures that await you. With the profile of the route, we refer to all the information relative to its average altitude, as well as the difficulty that it can have in relation to this. 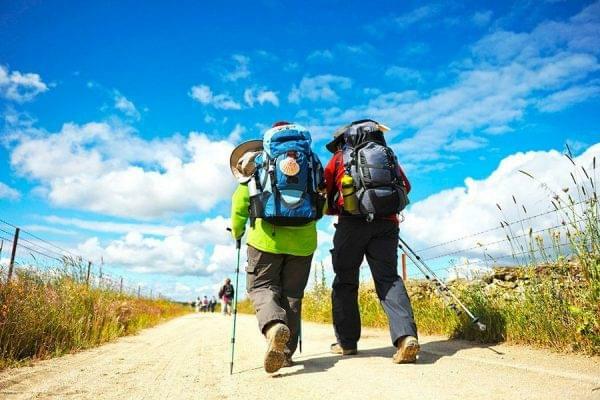 We must anticipate that, despite everything, the Camino Frances de Santiago from Burgos does not have any special difficulty, having climbs that do not have great differences in altitude. Something that also makes things better, considering the good route infrastructure it possesses. We also detail which are the walking stages that you will travel along the route of the Camino de Santiago from Burgos. With this we intend to give you all the necessary information so that you can get an idea of the great adventure that awaits you. Stage from Burgos to Hornillos del Camino. Stage from Hornillos del Camino to Castrojeriz. Stage from Castrojeriz to Frómista. Stage from Frómista to Carrión de los Condes. Stage from Carrión de los Condes to Terradillos de los Templarios. Stage from Terradillos de los Templarios to Bercianos del Real Camino. How long does the Camino de Santiago from Burgos take? The Camino de Santiago from Burgos to Sahagún has a total length of 120 kilometres spread over 7 stages with its corresponding 6 nights. It must be said that in the case of those who make the road by bicycle, these times can be halved. On the other hand, the time we take also depends on the pace that we ourselves decide. From Santiago Ways, we have planned everything so that the pilgrimage will be enjoyable at whatever time of year that you choose. Although the time complete the Camino de Santiago, in general, can depend on the tastes of the pilgrim, it must be said that each month has some peculiarities that we want to comment on below. In some, it coincides with the celebration of special festivities and dates in particular; In others, it increases the risk of inclement weather. So, we will talk about the pros and cons of each month so that you can decide for yourself. 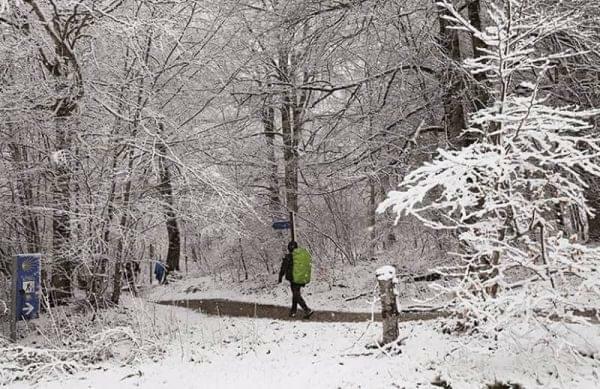 The month of January is a good alternative for many pilgrims because they can take advantage of the last days of the Christmas break, despite the fact that the Camino Frances from Burgos passes through some really cold areas. However, it is a good time to enjoy the beautiful scenery and an unforgettable Christmas. In February the temperatures increase a little. It is, therefore, a good time to enjoy the stretch of the Camino de Santiago de Burgos to Sahagún, although taking into account possible precipitations. With good planning, anything is possible. In the month of March, the temperatures begin their ascent as a result of the closeness of spring. The risk of precipitation increases, although all the colours of the environment are beginning to be noticed. One of the most popular months among pilgrims is April. Indeed, as a result of this month's Easter, there are enough days to complete this or other routes. In May the flora of all the regions between Burgos and Sahagún is filled with colour. So this month is perfect to make this stretch of the Camino Frances as long as we are precautious with possible precipitations. During the month of June, those who have taken their summer holidays soon take advantage, enjoying the road avoiding possible agglomerations. The weather is kind, with mild temperatures and no rain. The month of July is one of the most popular for pilgrims, precisely for giving us several days of holidays in a row. Summer is fresh in the northern half of Spain, so it's a good time to "escape" from the heat of the rest of the climates. 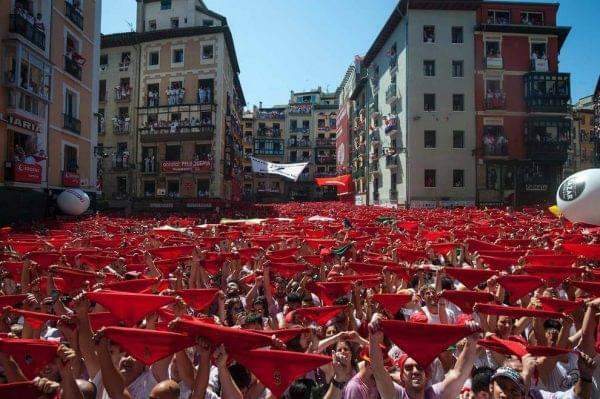 In addition, during this time it is when the city festivities in Pamplona (from the 6th to the 14th of July) and those of Santiago de Compostela (from the 15th to the 31st of July) take place. August is definitely one of the months that most pilgrims travel on the Camino. The mildness of the climate in the Camino Frances from Burgos to Sahagún ensures many people choose it. The disadvantage is the possible overcrowding: a problem that, when completing the Camino with Santiago Ways, does not exist. In September, Autumn begins to leave its mark. The regions we are going through are mostly deciduous, so all the landscapes are dyed green, yellow and precious brown. October is another of the most beautiful autumn months. The risk of precipitation increases, so this month we must be a little readier with what we carry in our backpack in case the rain surprises us along the way. In November we begin to notice the winter and the temperatures go down. This must be taken into account, especially in the area of Burgos, which is very cold by nature at this time. December is a month that more and more pilgrims now choose. They do so to be able to enjoy an unforgettable Christmas away from home and different from the others: on the Camino de Santiago. We will talk to now you about some of the most interesting points on the Camino de Santiago from Burgos. 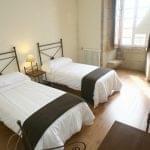 These include not only places of special cultural and historical interest, but we have also included the hotels where you will rest with Santiago Ways, as well as the restaurants that you cannot miss on this route. The city of Burgos, the starting point, is itself one of the most interesting places. In this city, we cannot miss its imposing gothic-style cathedral, one of the most beautiful and spectacular in Europe. 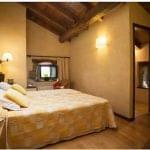 We also recommend you to visit the Monasterio de las Huelgas or the Cartuja de Miraflores, dating from the 15th century. In Carrión de Los Condes, this beautiful medieval town highlights the imposing Monastery of San Zoilo and the Church of Santa Maria del Camino, two monuments that you cannot miss. A historic old town to discover and to enjoy. From the great choice of the historic heritage of our arrival point, Sahagún, we must especially highlight the Church of San Tirso, in a peculiar style and colour. Also the Arch of St. Benedict, a great symbol for pilgrims. 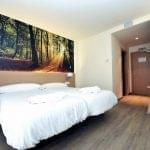 Thanks to Santiago Ways, you will be able to stay in the best hotels on the Camino Frances de Santiago between Burgos and Sahagún. In fact, we guarantee that you will rest as you deserve to. Asador Azofra: We want to start with the city of origin, Burgos, and with this grill that without a doubt is one of the most noteworthy of all the gastronomy in Burgos, which says a lot. They have specialities in meat dishes and at a fairly affordable price. Restaurante El Portón: in Carrión de Los Condes, this restaurant specializes in typical food with local products. Restaurante Luis: Located in Sahagún, they look after you very well and the specialities are of typical recipes of the area prepared with great care and affection. The Camino de Santiago from Burgos shares its origin with the Camino Frances de Santiago. Indeed, it traces its origins to the Middle Ages: it was the moment when it began to be the alternative ahead of the original road (Camino del Norte), which is much more rugged. So then, the Camino Frances was taking prominence as the Reconquest was advancing. Since then it has become the most popular route, travelled by thousands of people every year. 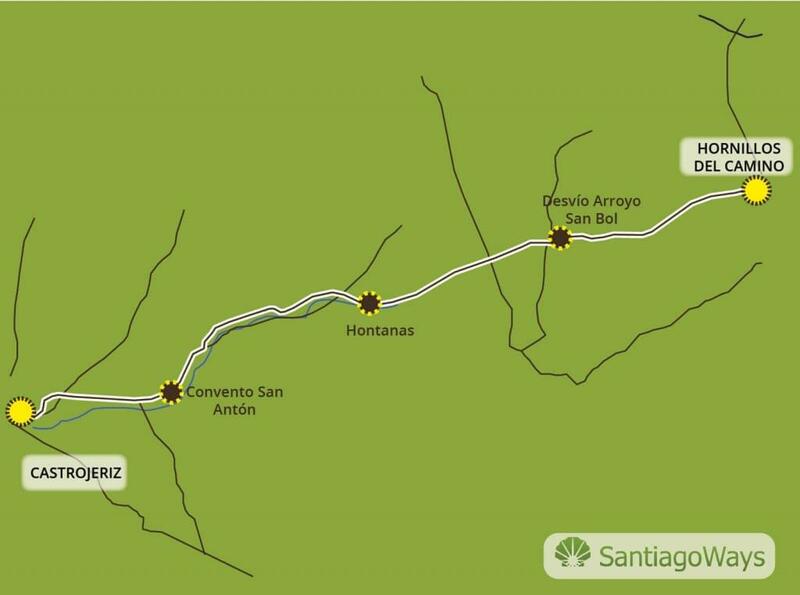 There is always the option to finish it completely or choose only a stretch like this one from Burgos to Sahagún. With Santiago Ways everything is possible. And so that you know first-hand what other people who have already completed their way with us think about the experience, we present here some of their comments and opinions. Finally, we want to show you some pictures and videos of the Camino de Santiago from Burgos so you can get an idea of everything that awaits you while doing it with Santiago Ways.